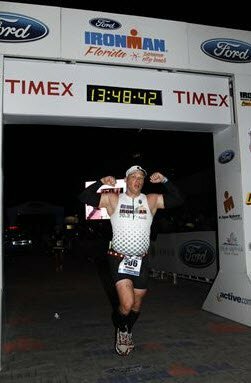 Ironman Florida 2009 was when my brother Mike (CEO of TriAttic) and I decided to give the Ironman distance a go. (Pictured above after finishing IMFL 2009) We loved it so much and had such an amazing experience we came back for a second time in 2010. Only this time we had an addition of Assistant Coach Charlie. 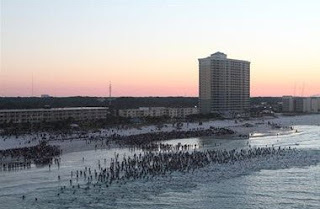 This year Charlie, Mike and myself will be volunteering with hopes of grabbing slots for Ironman Florida 2012. Registration for Ironman WTC races is a hot topic...... Slots fill fast and are hard to get. Who would think so many people would want to pay so much money to try what some people call, the "hardest single day sporting event in the world". When you finish your first Ironman you will understand. Training for an Ironman takes time, courage, determination, focus, and strength. 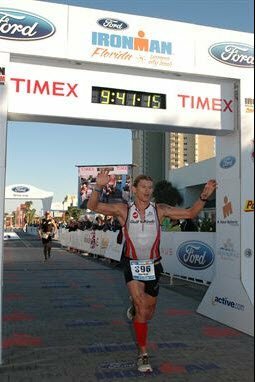 As a 4 time finisher at the Ironman distance and certified USA Triathlon coach, I have what it takes to train you, prepare you and help you get to the finish line. Whether your goal is to make cut off before midnight, have a PR, or qualify for Kona - TriAttic will work hard to help you achieve your goals. 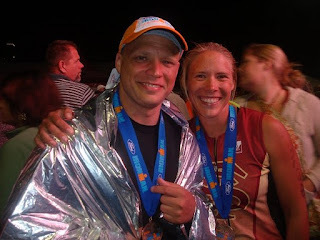 We hope you will join our team in the journey to becoming an Ironman. I want to wish the best of luck to the Tallahassee Crew headed over this weekend. All of you have put in the time, distance, and dedication. Making it to the starting line is one of the hardest parts when training for Ironman. Congratulations on getting there and enjoy YOUR day on the course. We will be cheering you all on from the sidelines! Soon you will hear Mike Riley say, "__________ YOU ARE AN IRONMAN". I've attached two videos of our journey to the finish........thanks Mike for making these!